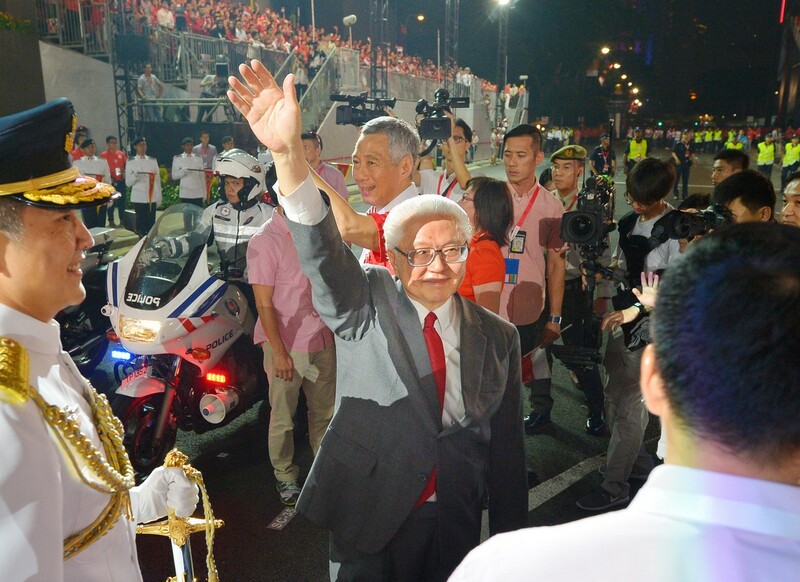 Former labour minister Jek Yeun Thong being helped into the car yesterday by his granddaughter Amelia Jek, 24, and daughter-in-law May Jek, 52, before heading to the National Day Parade. 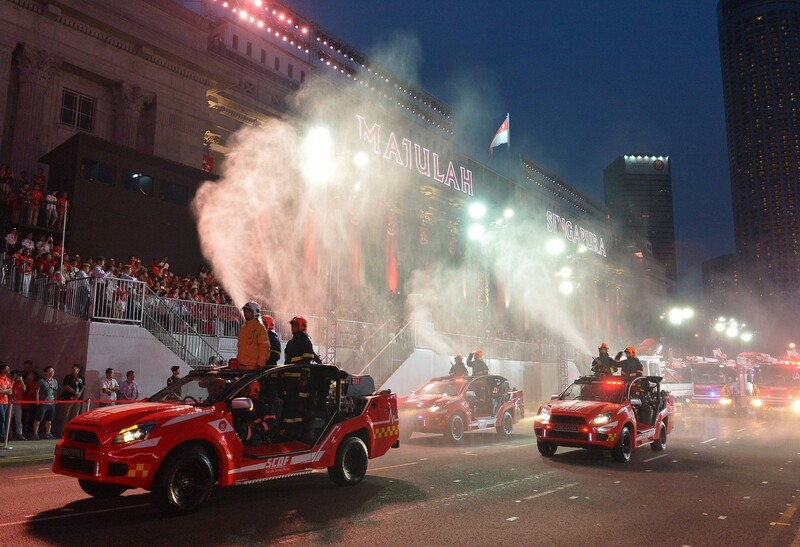 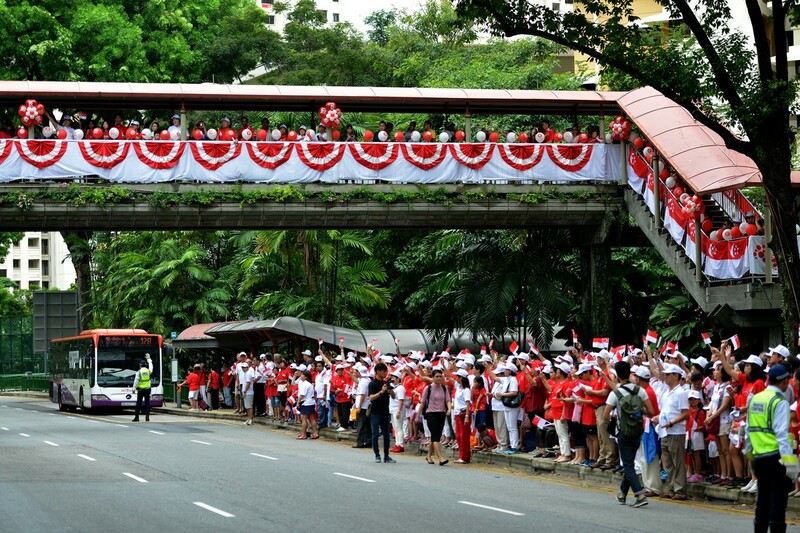 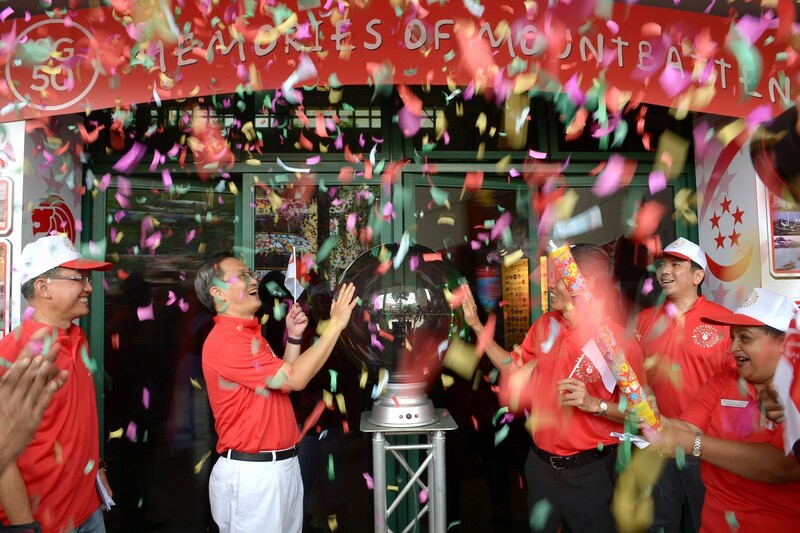 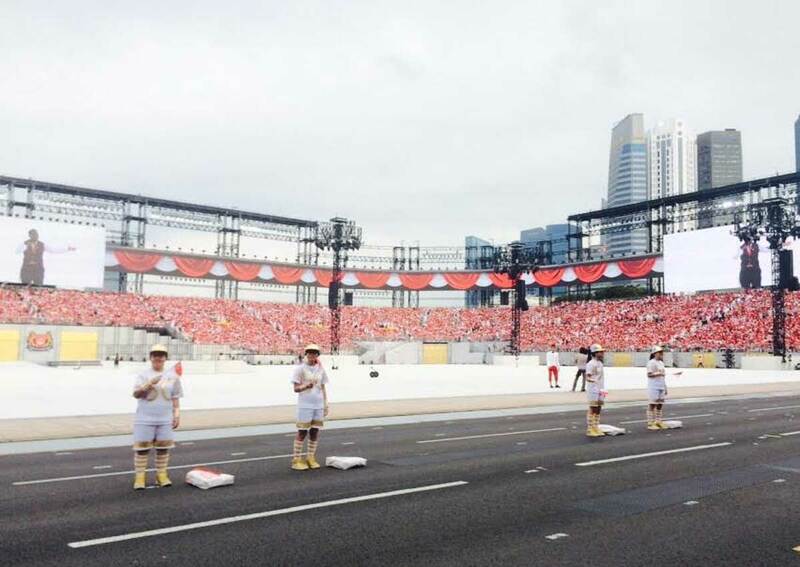 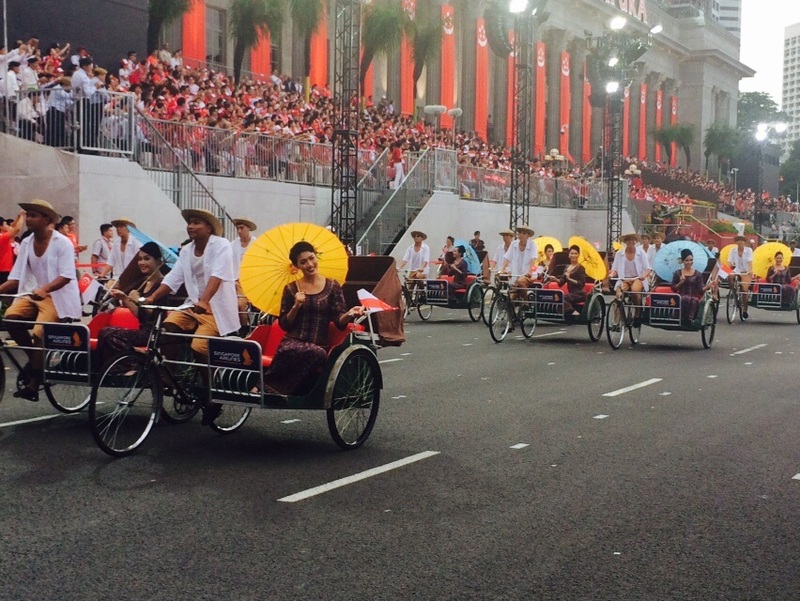 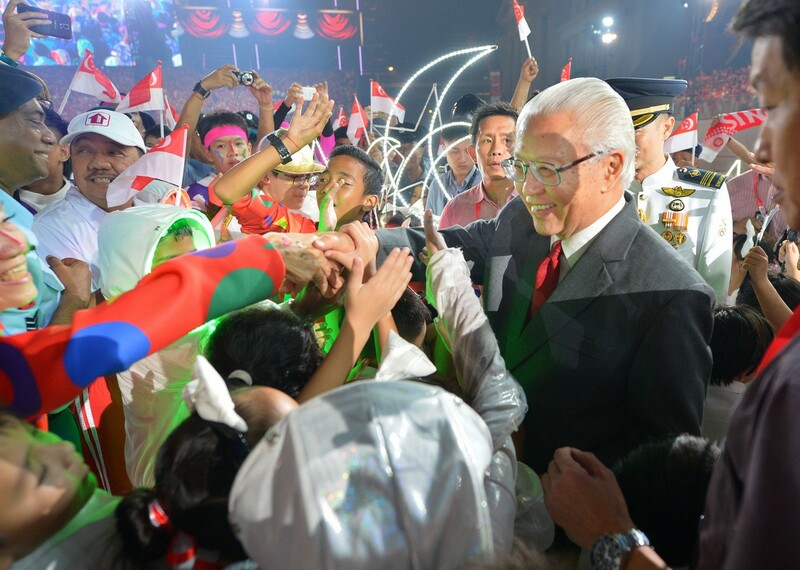 Former labour minister Jek Yeun Thong started his preparations to celebrate Singapore's Golden Jubilee about a week ago. 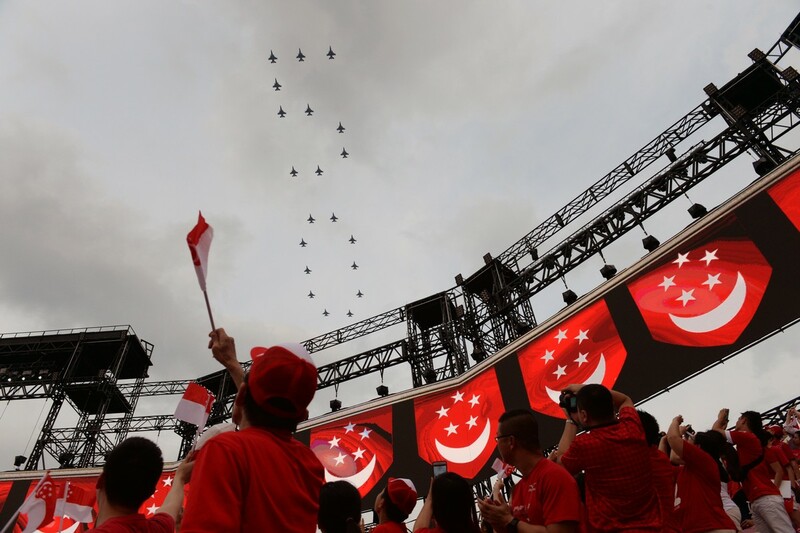 The 85-year-old, who was one of three Old Guard ministers honoured at the National Day Parade yesterday evening, enlisted the help of his wife, Madam Huang Kek Chee, 81, to get his outfit ready. 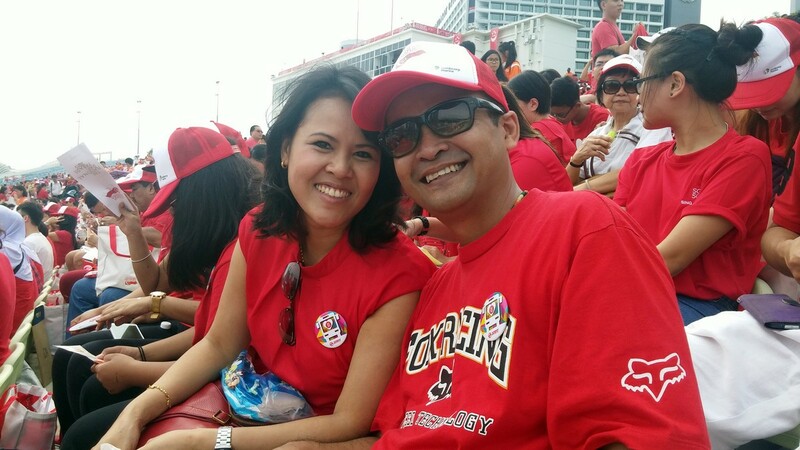 On Wednesday, Madam Huang went shopping at fashion retailer Uniqlo and a department store in Bugis Junction, to pick out two red shirts for her husband. 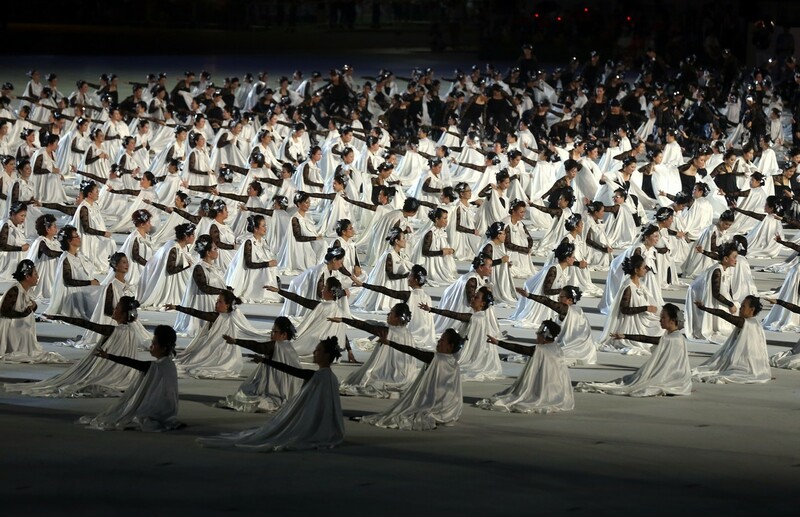 She also bought a white adidas sports cap to shade Mr Jek, whose movements are laboured, from the elements. 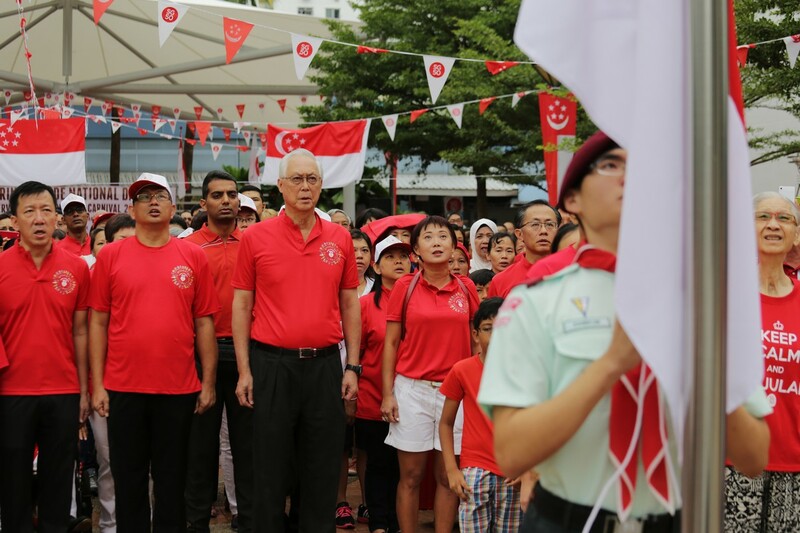 It took some persuading to get him to wear both red and white because the PAP stalwart - a member of independent Singapore's first Cabinet - said he was used to wearing "just white". 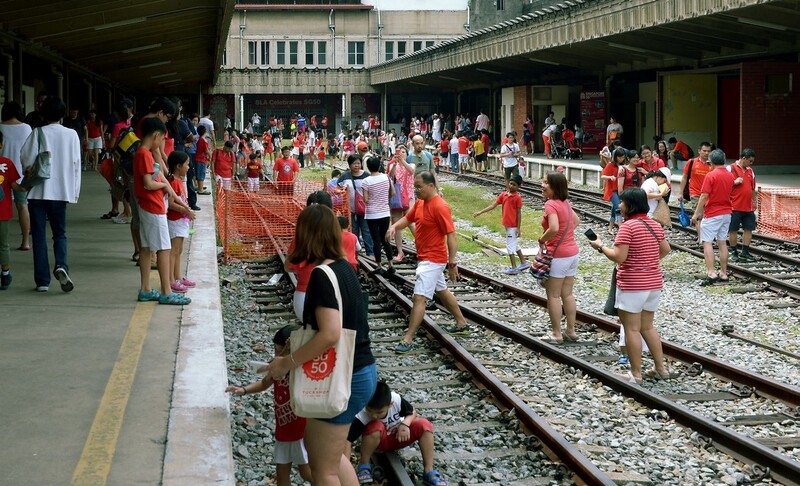 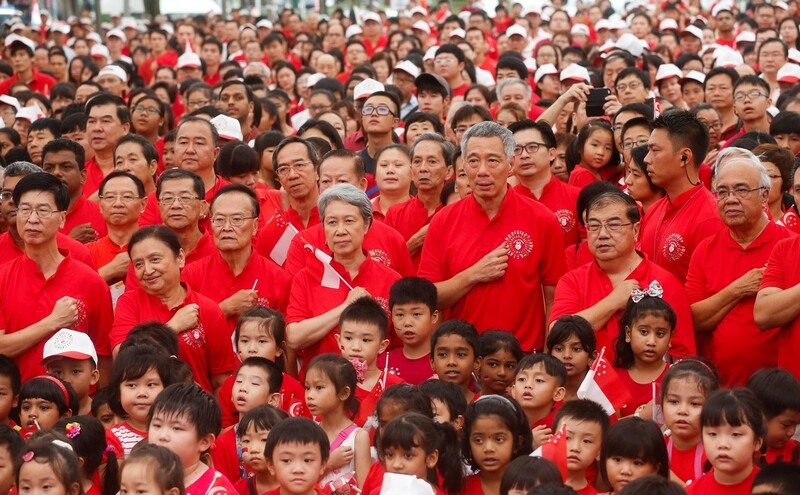 Said Madam Huang: "I let him pick from two red polo T-shirts. 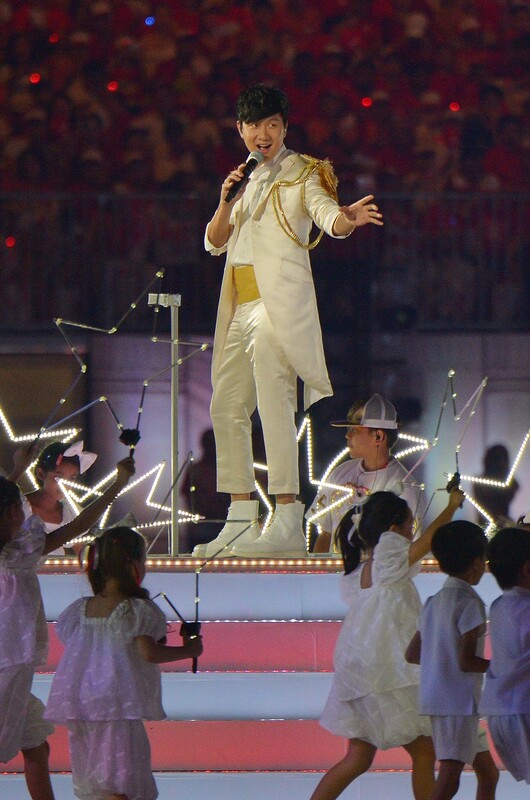 At first, we thought the style was a bit too young for him, but we wanted him to blend in with the rest of the VIPs." 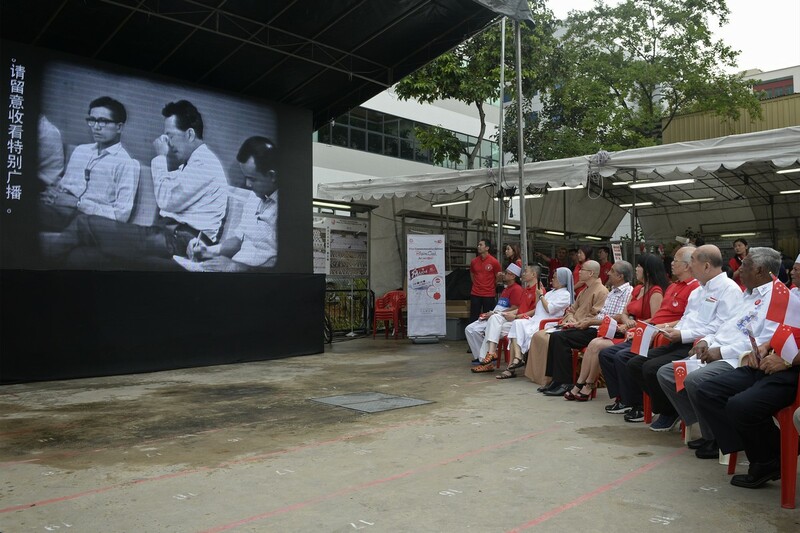 The two other members of the Old Guard honoured yesterday were former education minister Ong Pang Boon, 86, and former social affairs minister Othman Wok, 90. 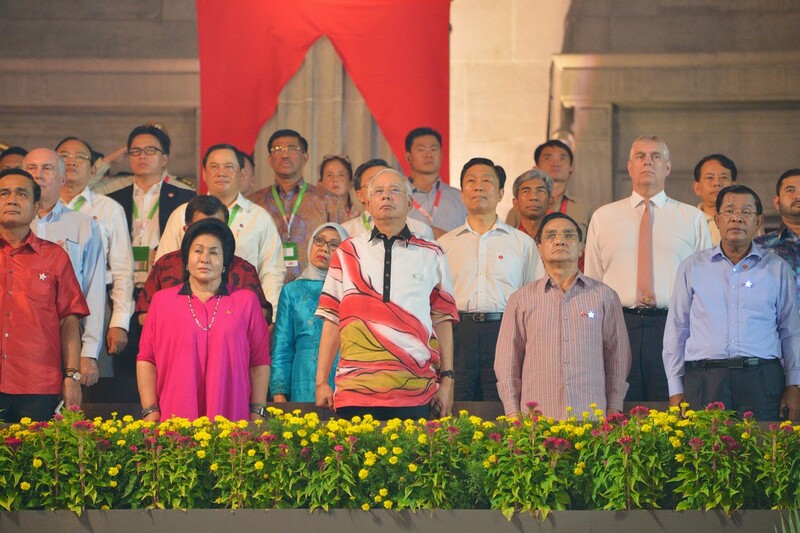 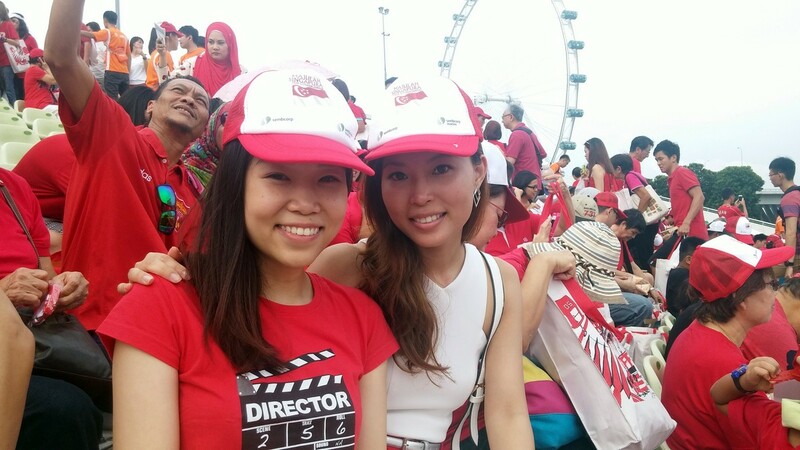 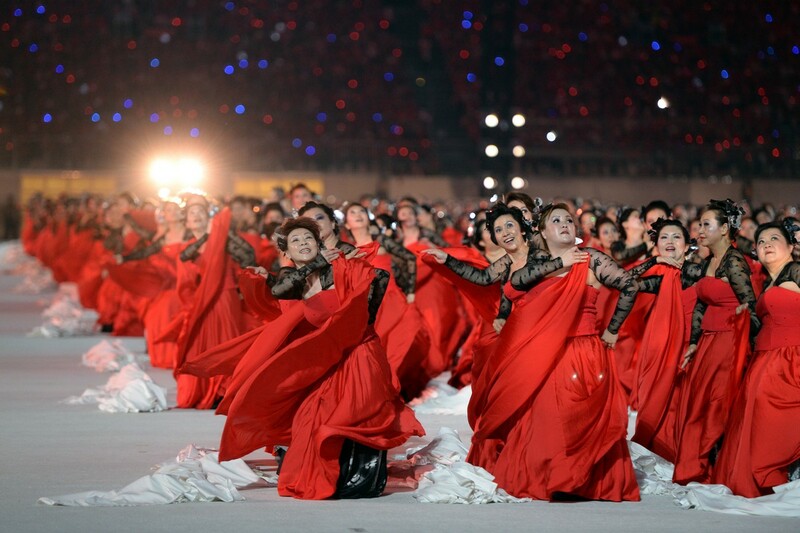 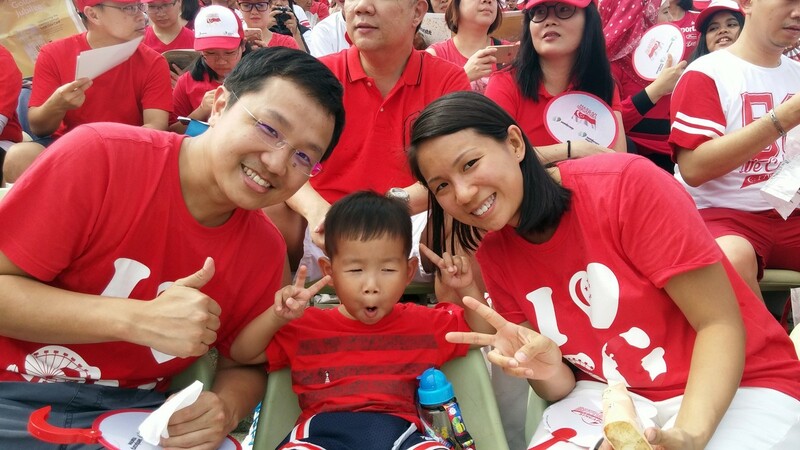 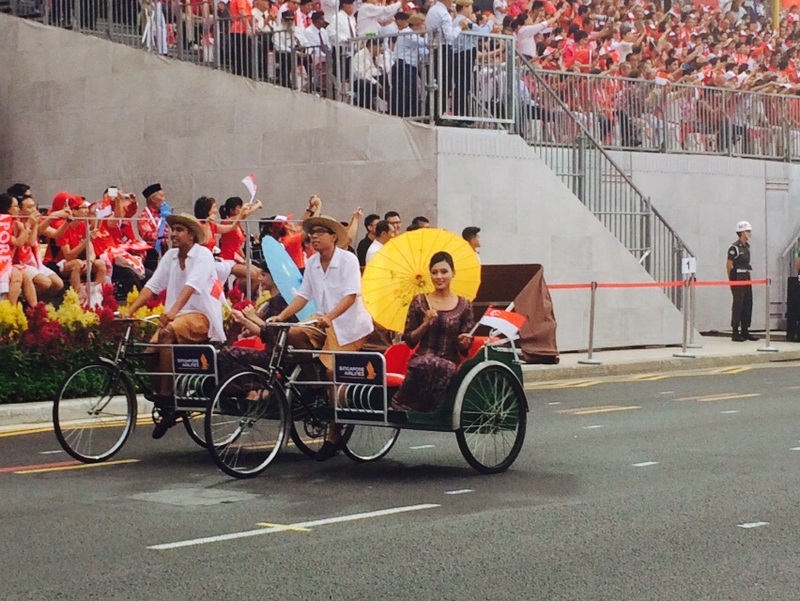 The trio, who arrived at the VIP grandstand with Emeritus Senior Minister Goh Chok Tong, were helped to their seats. 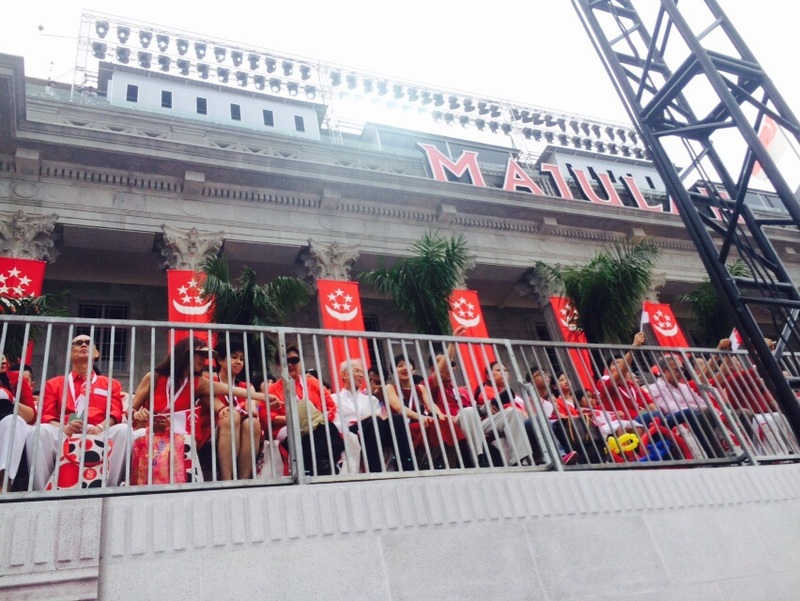 They sat next to a chair that was kept empty in honour offounding prime minister Lee Kuan Yew, who died in March. 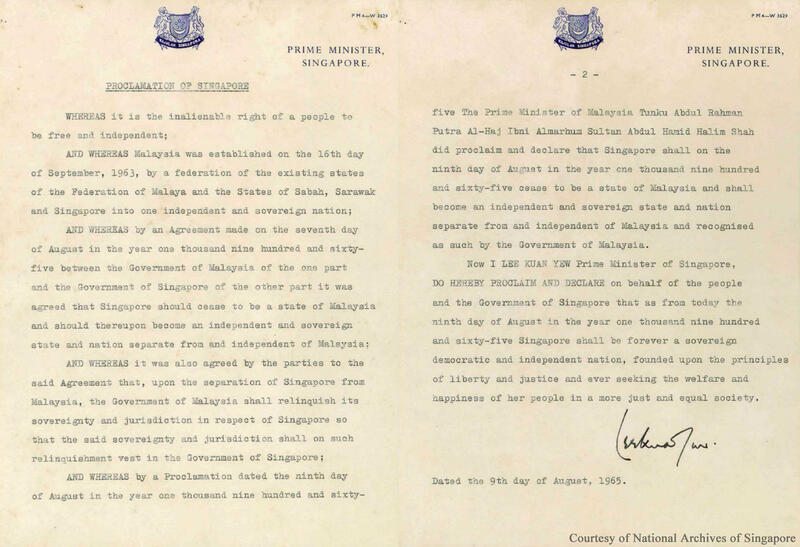 The three men are the last of the 10 men in the founding government to have inked the Independence of Singapore Agreement on Aug 9, 1965. 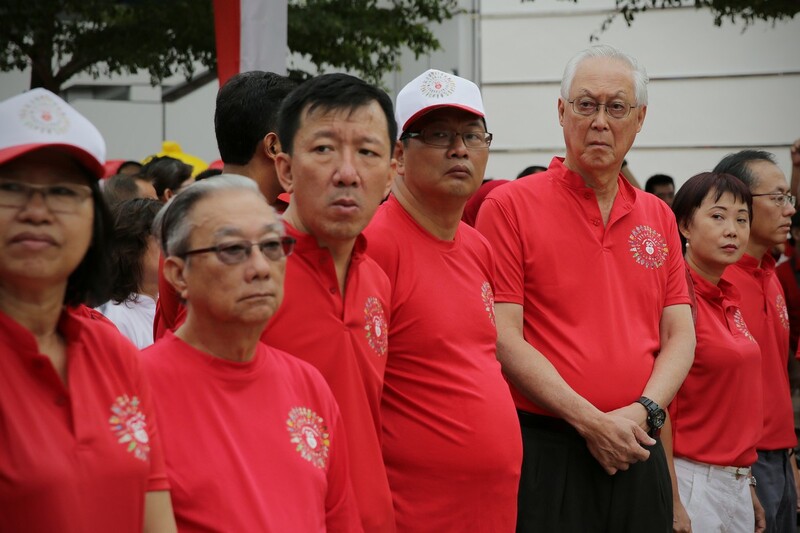 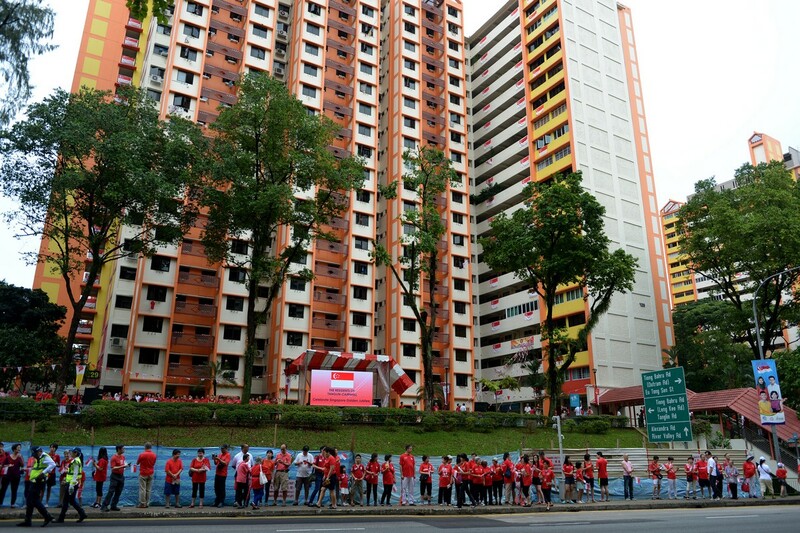 The other signatories were Mr Lee, former deputy prime minister Toh Chin Chye, former finance minister Goh Keng Swee, former law minister E. W. Barker, former culture minister S. Rajaratnam, former health minister Yong Nyuk Lin and former national development minister Lim Kim San. 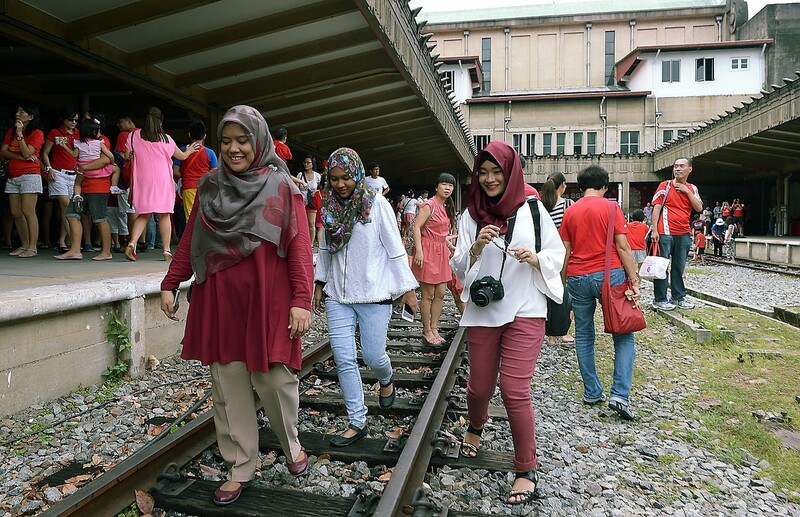 Speaking to The Straits Times earlier yesterday, Mr Jek said he was looking forward to seeing Mr Othman, whom he had not seen in six months. 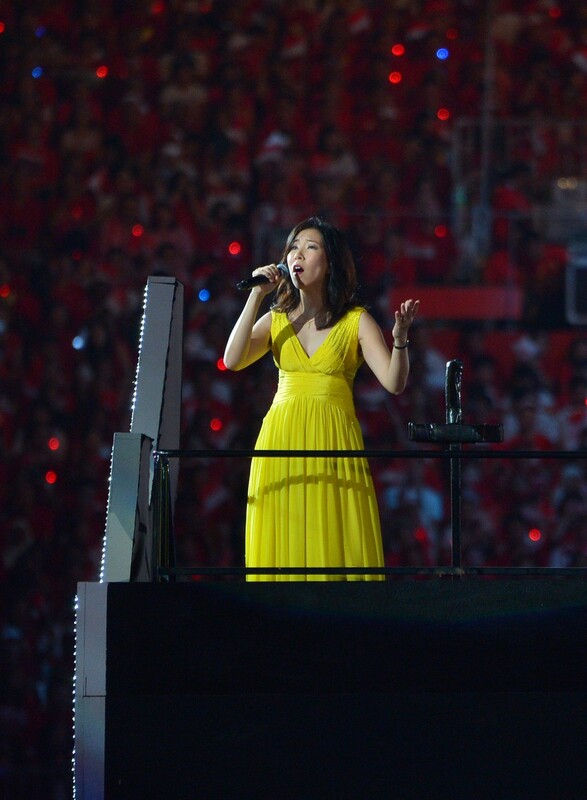 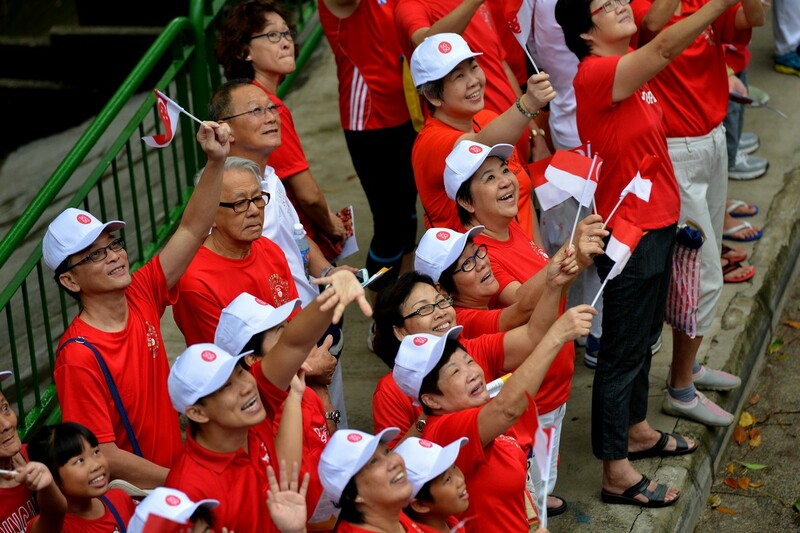 "My health has not been too good in the past few years, but I'm happy that I was invited to celebrate Singapore's Golden Jubilee." 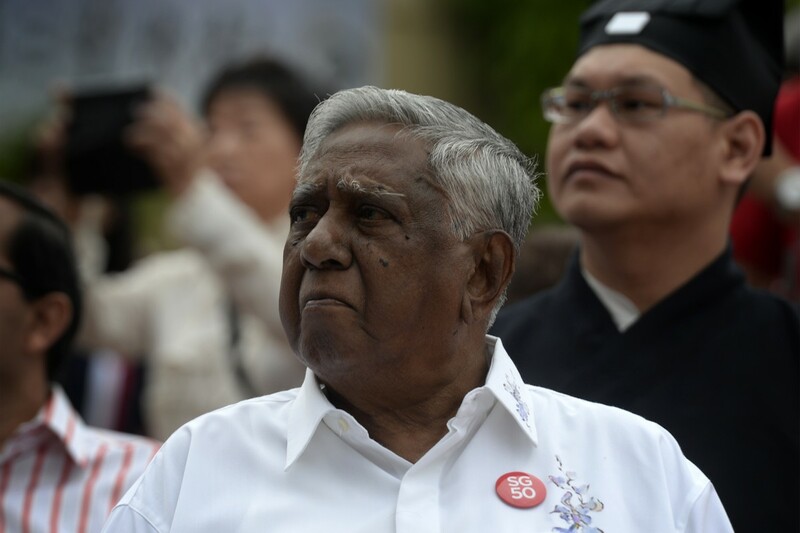 Mr Jek's day started at 11.30am, when he had home-cooked beehoon for lunch. 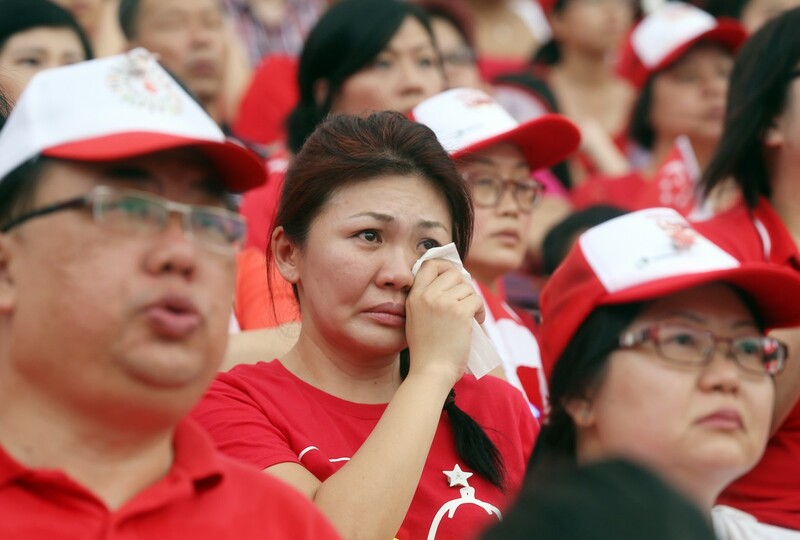 At around 3.30pm, a government car went to his Bukit Timah home to take him to the Padang. 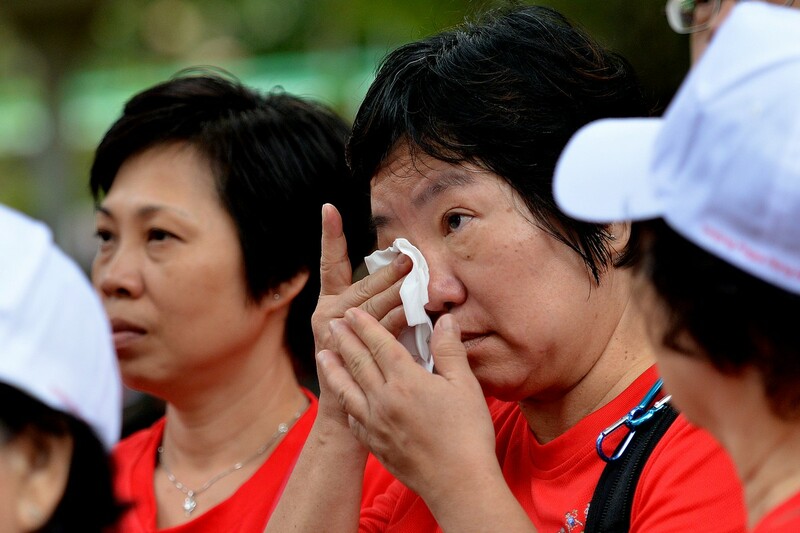 His granddaughter Amelia Jek, 24, who recently graduated from university, helped him into the car. 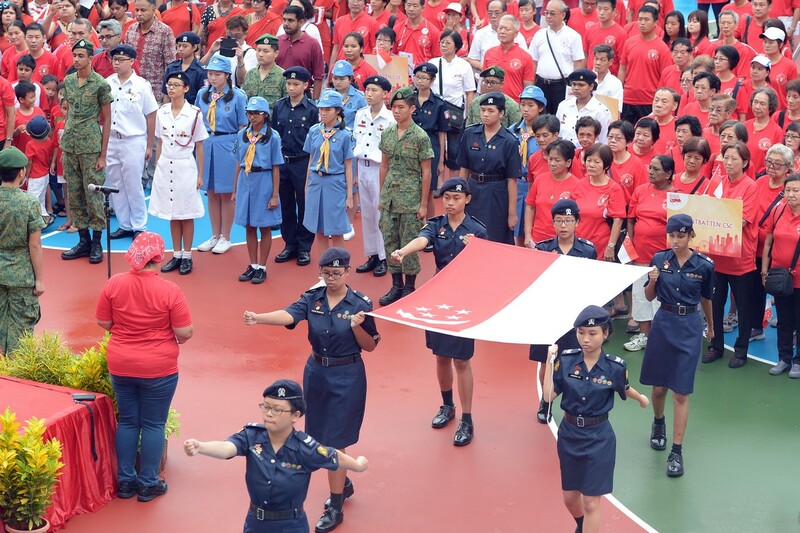 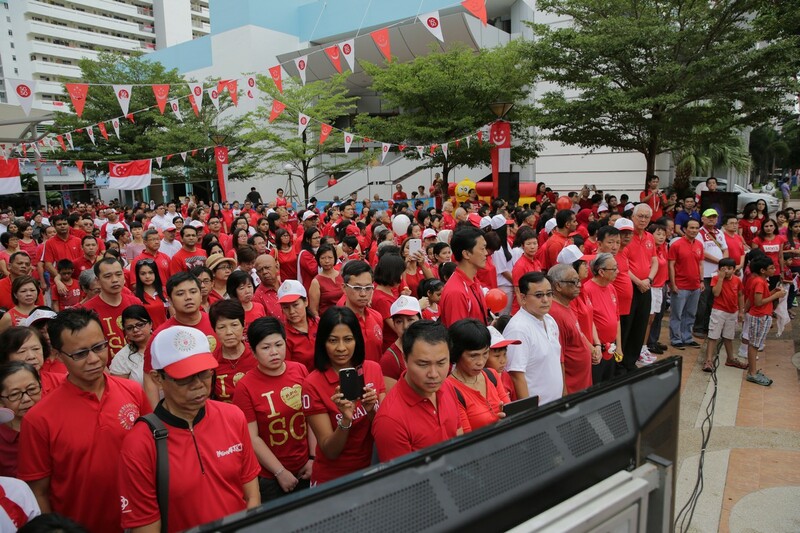 Mr Jek said: "Seeing the citizens, as well as my younger comrades, I feel that Singapore has a great future because we are united, and we have the spirit of perseverance. 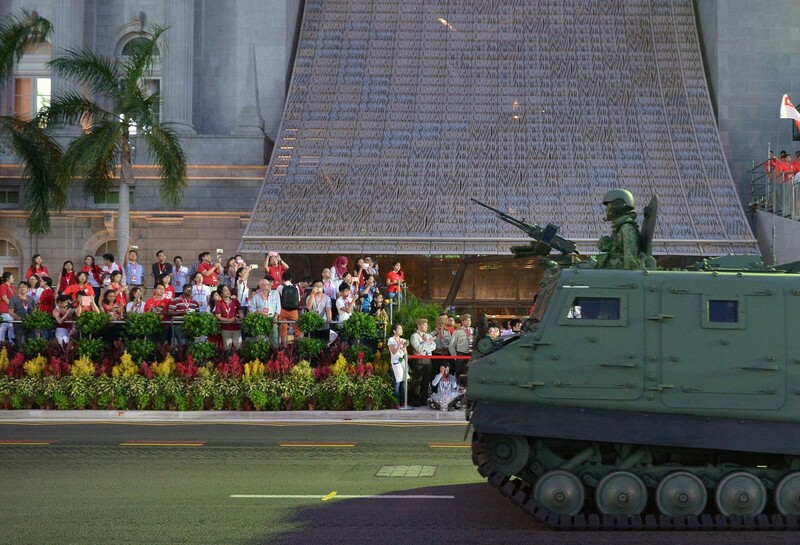 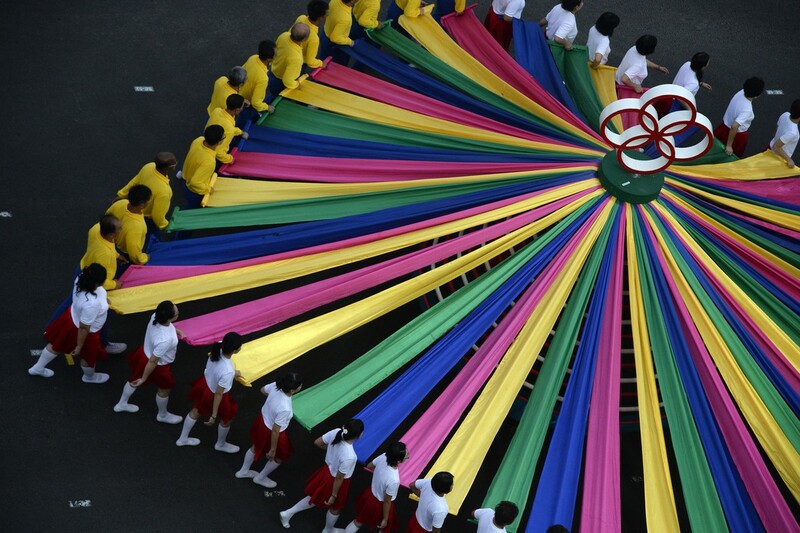 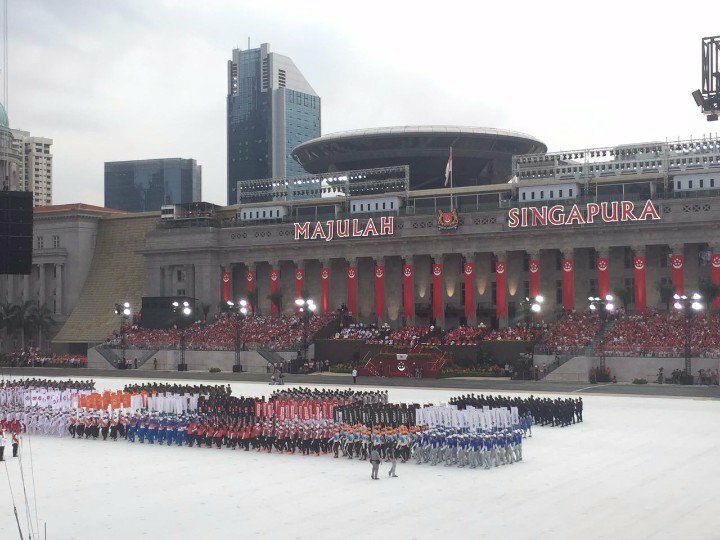 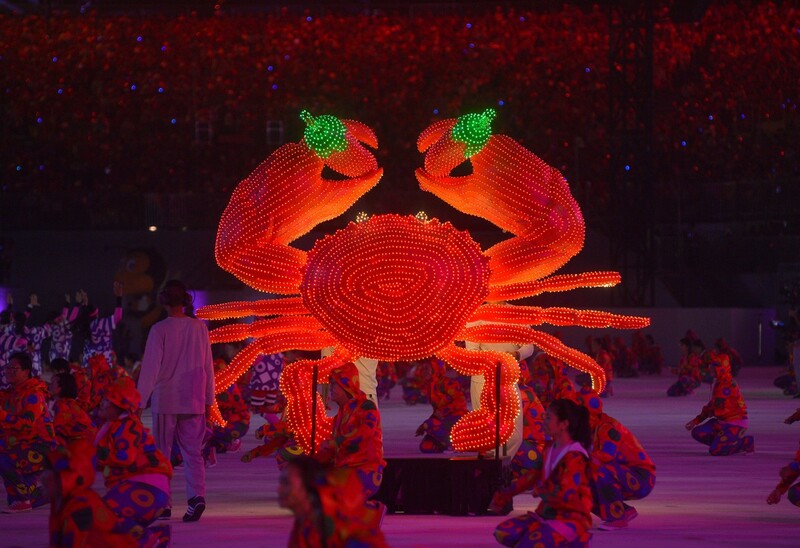 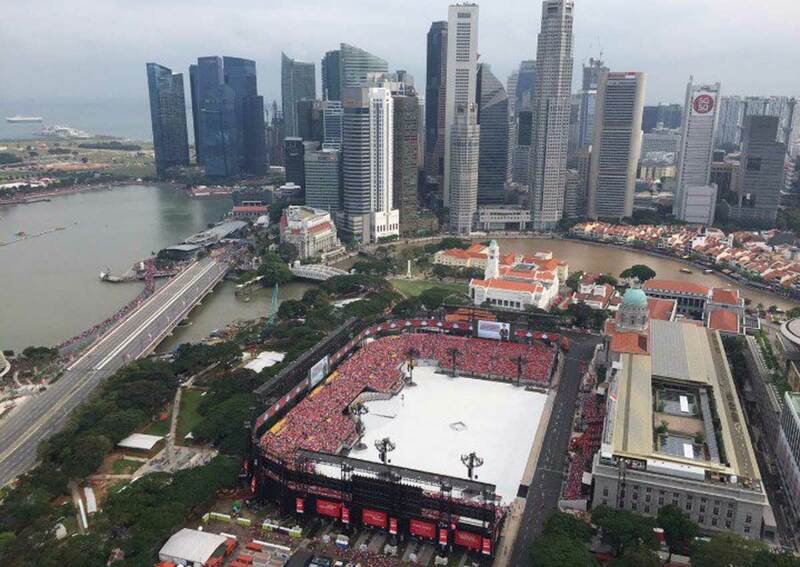 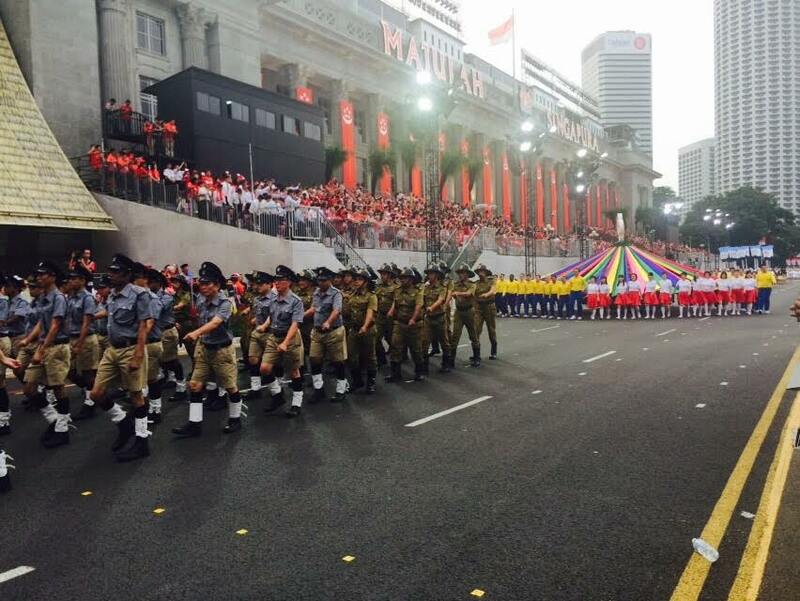 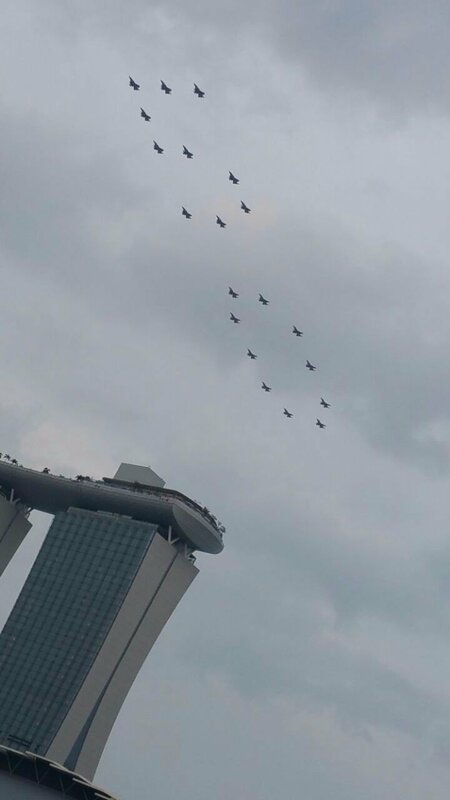 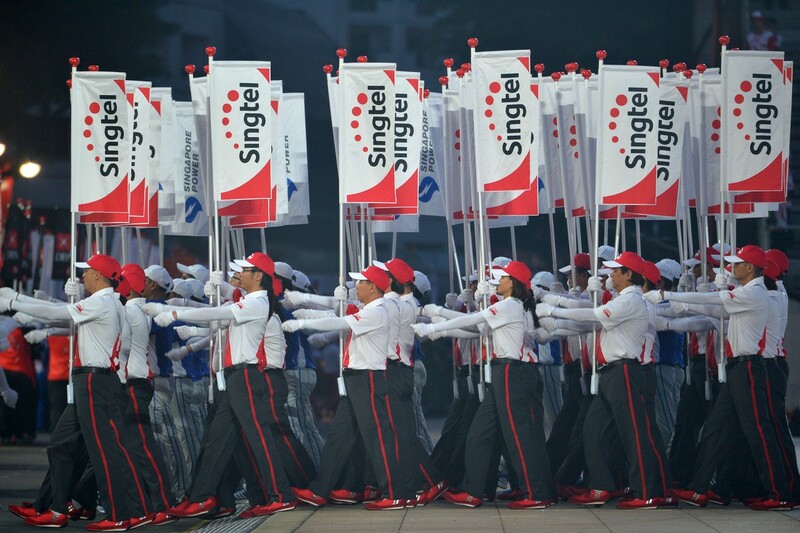 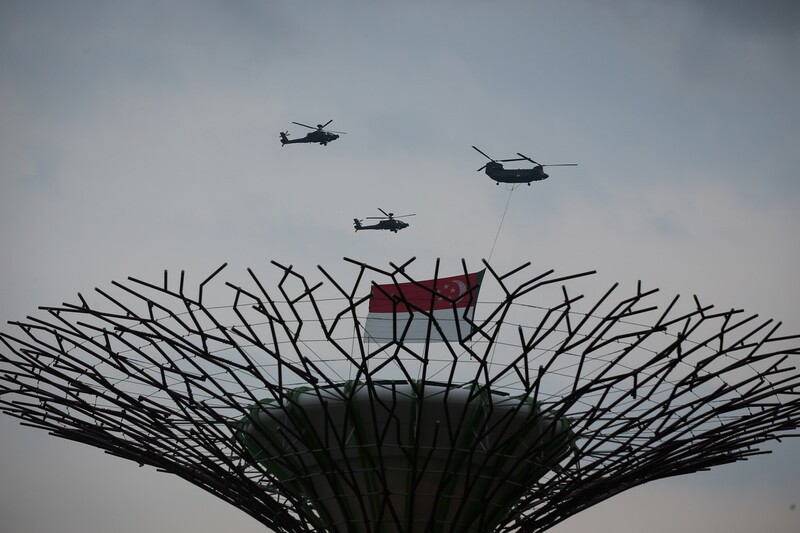 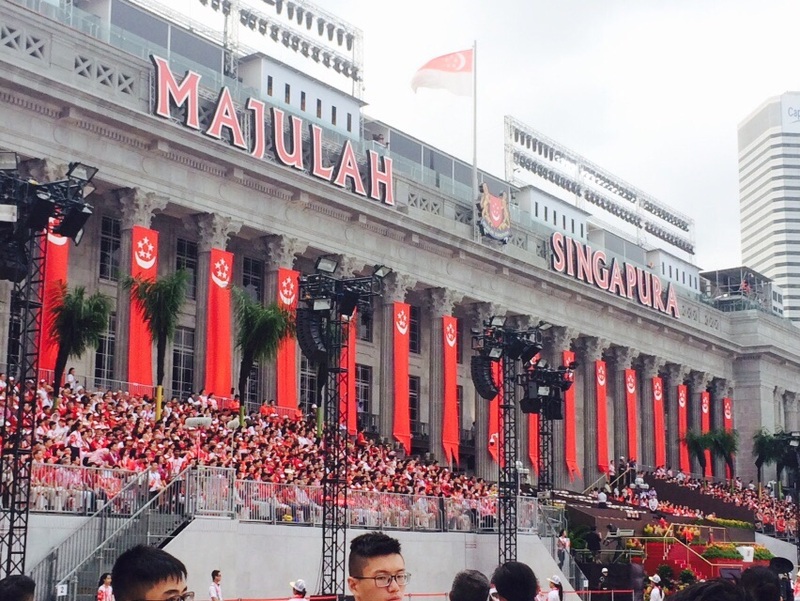 I believe Singapore will be able to overcome any difficulties, and prosper." 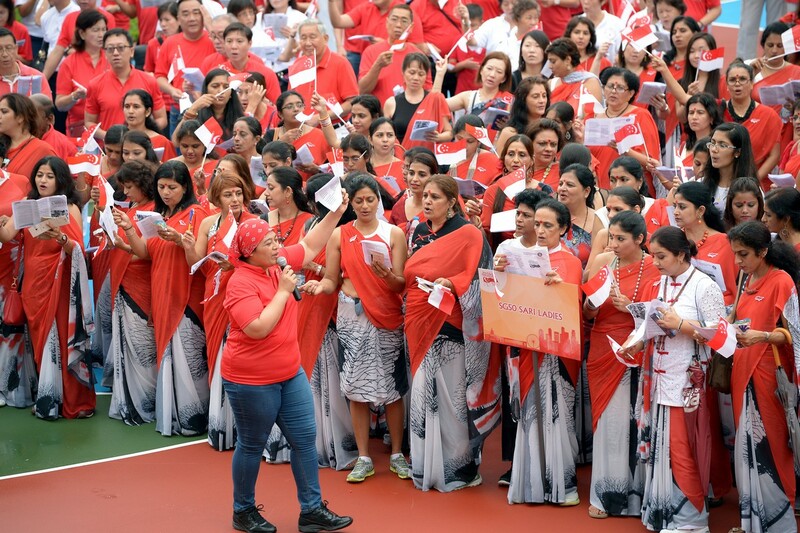 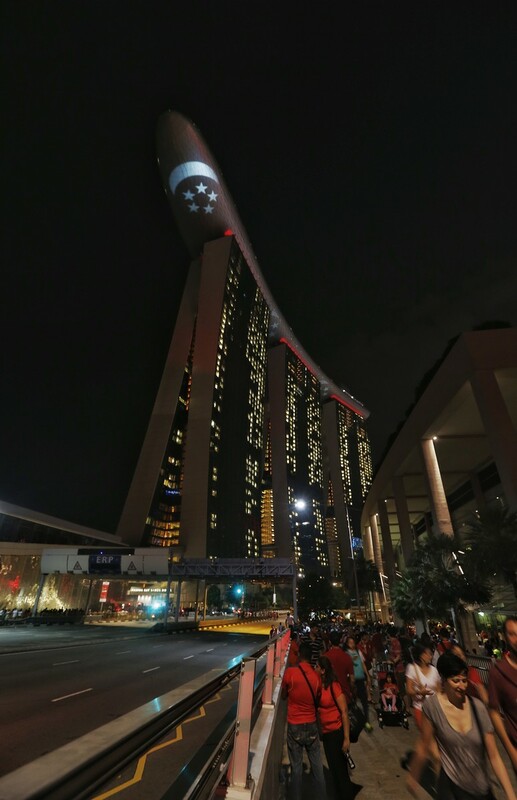 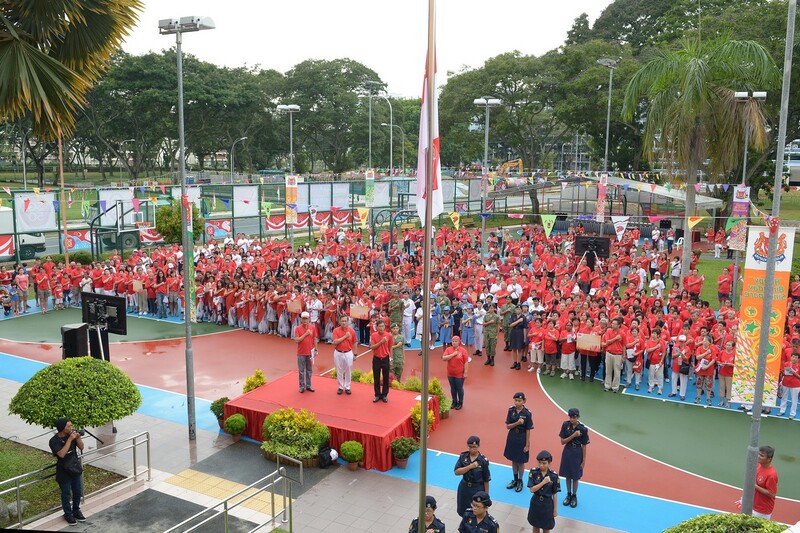 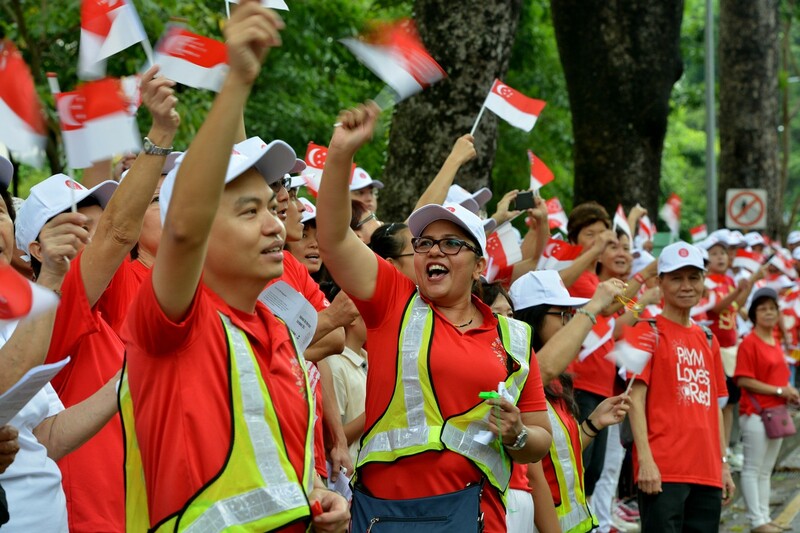 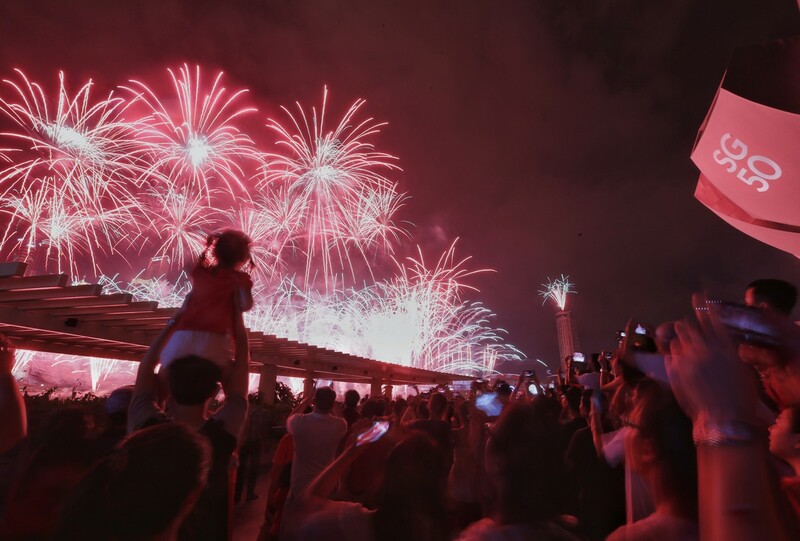 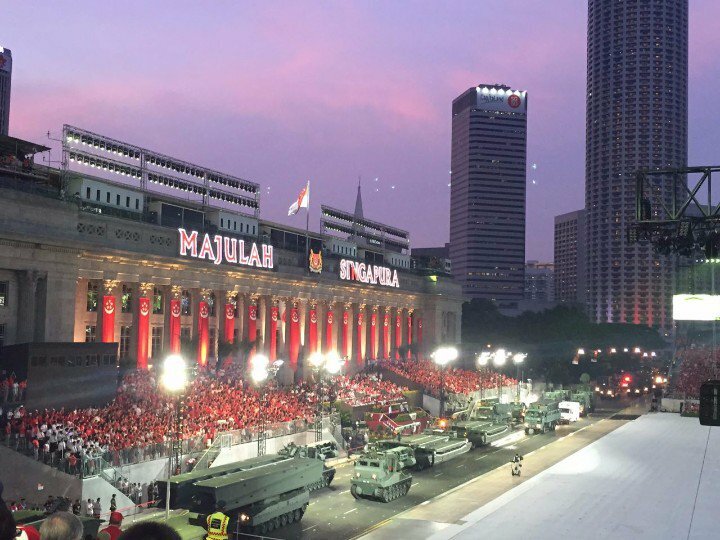 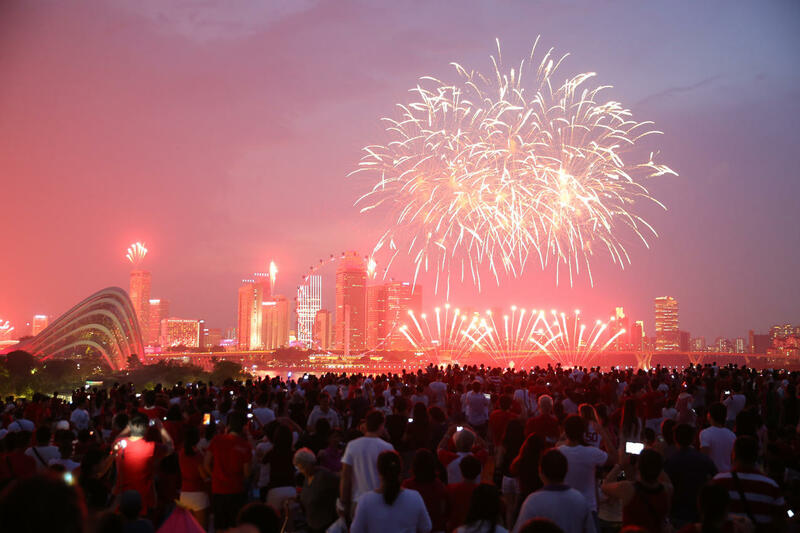 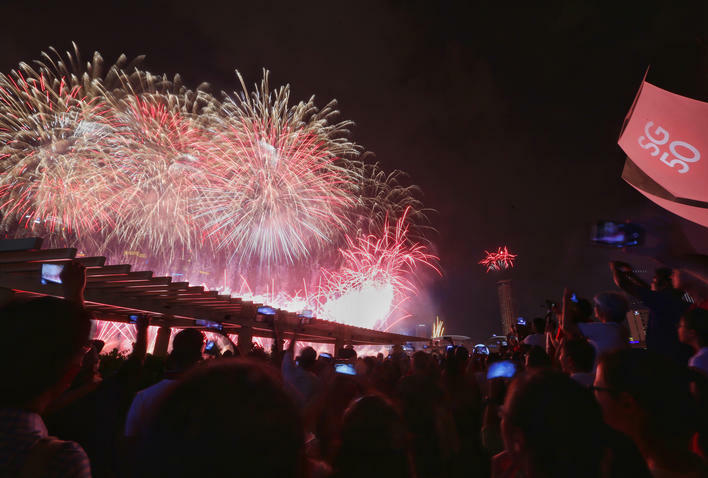 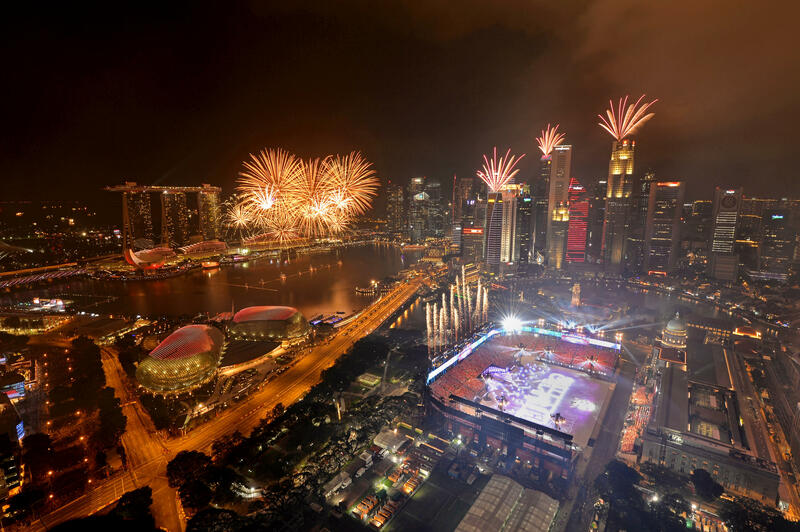 Meanwhile, Mr Othman said Singapore's 50th year of independence was "a milestone that is especially meaningful for the generation of people who have seen Singapore grow since we became a sovereign nation". 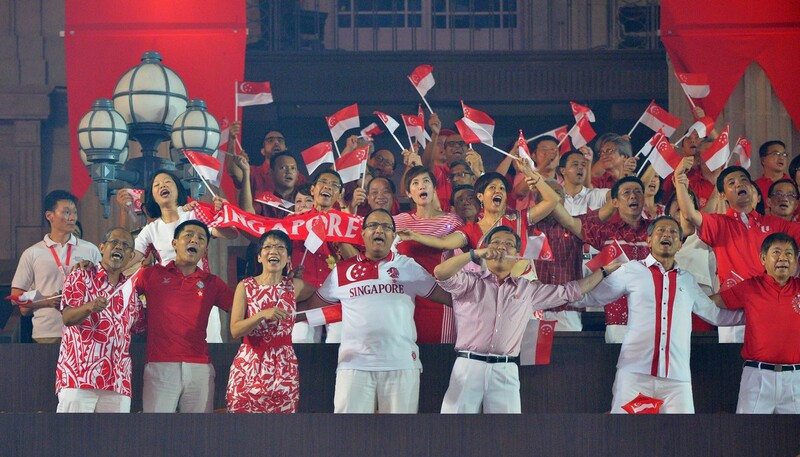 He added that he had "no doubt" Singapore would make it this far. 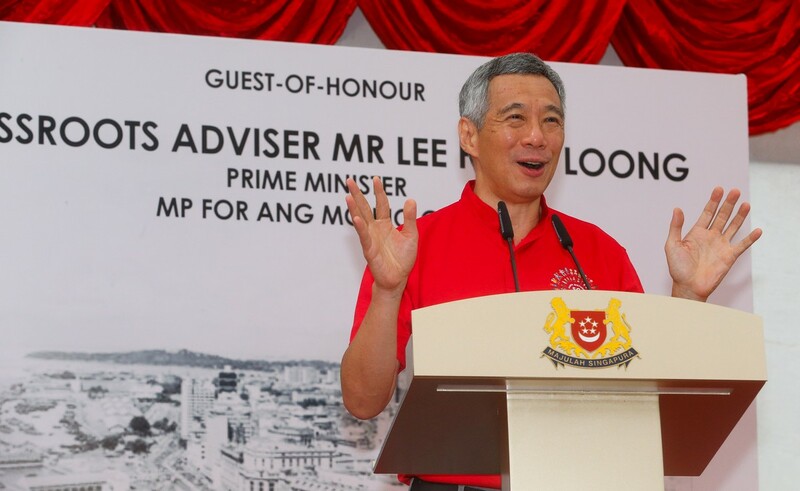 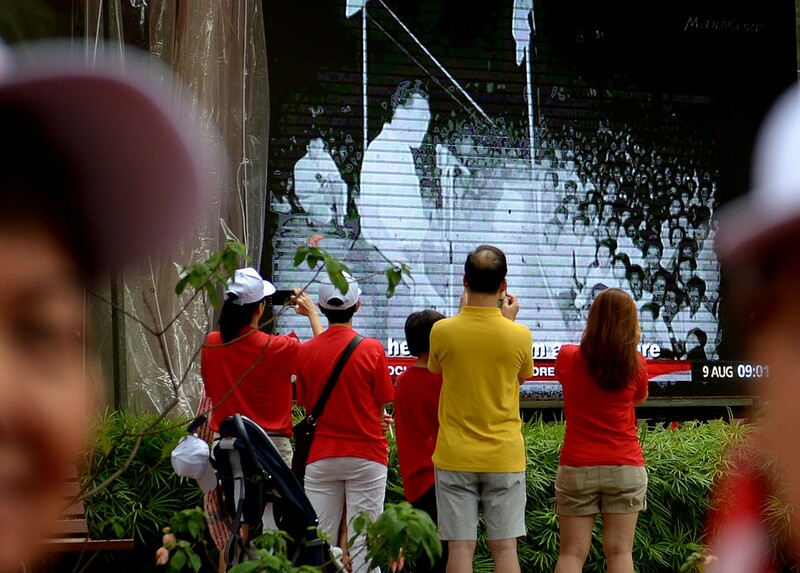 "Singaporeans have always been a hardworking people, and they genuinely want to build a better Singapore, so I was confident, even back in 1965 when we became independent, that we would go far," he said. 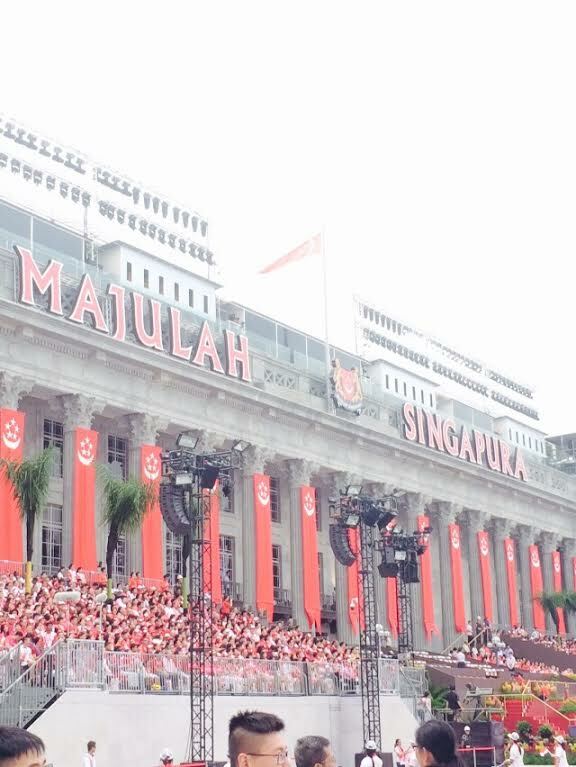 Polytechnic student Amir Azman, 24, who was at the parade, said he was looking out for the three men as they made their way to their seats. 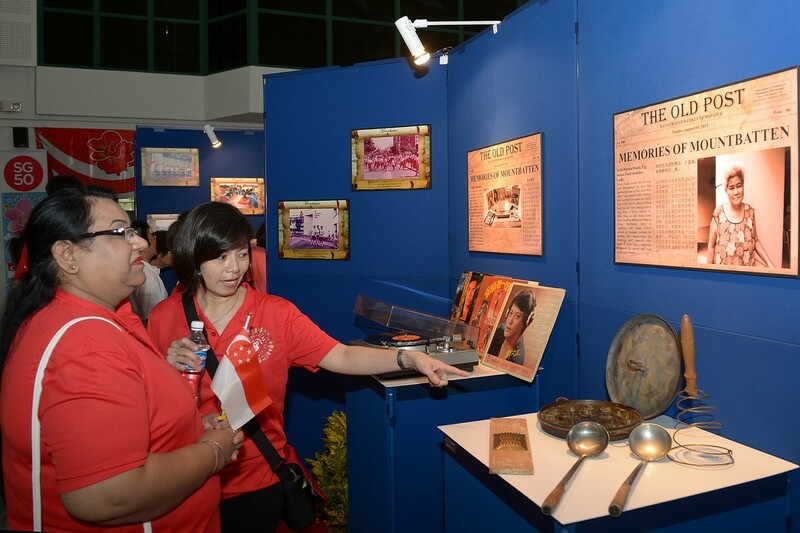 He said: "I'm very glad we've taken the time to honour our pioneers and remember their contributions. 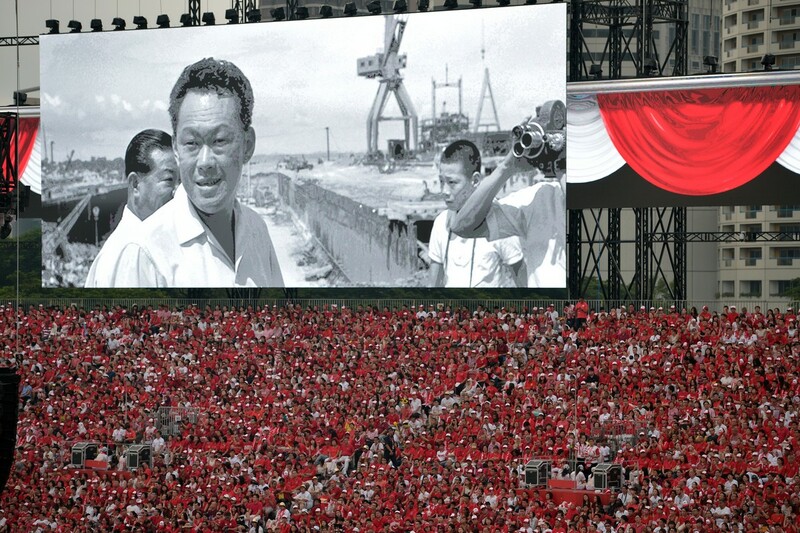 After all, they are the only living legends left."